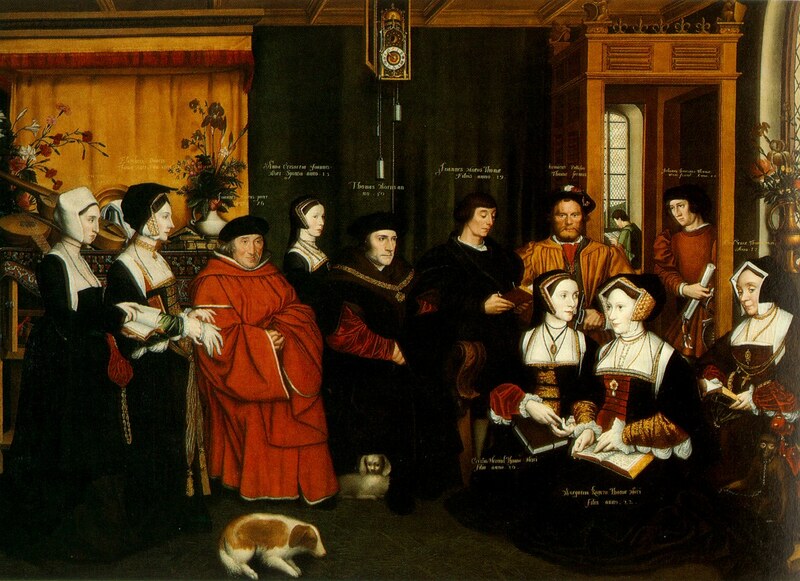 Matt lays out the theories of Jack Leslau regarding what Holbein’s painting of Thomas More’s family could be telling us about the Princes in the Tower. It is a riveting article and, to my mind, a theory that is highly plausible. You may think differently. It is a long post but I recommend reading it all. I’m really pleased that you have seen fit to keep this theory out there Matthew. What a shame Leslau died before he was able to extract the DNA from Clements’ skeletal remains in Mechelen. I wish an historian would take this up and complete Leslau’s work. Pity that Leslau’s theory has not been researched after his death and very glad you wrote this entry, Matthew. Maybe John Ashdown-Hill could be interested in taking this on knowing his excellent job into the RIchard III’s DNA sequence. Oh my, I remember reading about this theory back when I was at school in the nineties. I honestly can’t tell whether it is plausible, but it’s an absolute delight. It’s still a heap of fun, but, like others, my first thought now is for DNA testing. I wonder if there are any descendants lurking around who would be willing? Don’t you think that More’s “fool” bearing a striking resemblance to Henry 8 is actually telling us something ? I don’t know. That’s my observation and is outside Leslau’s own theory, but the resemblance of the person at the second highest point in the portrait is interesting, I think. 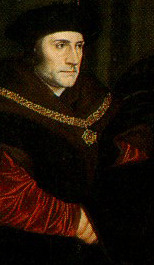 Perhaps it suggests that Henry knew, supported by the register of Clement’s involvement in the 1510 lists, or perhaps even that Henry VIII is the fool for failing to see the truth. I really wish that I knew! I knew Jack well.. He taught me of his theory from the age of 11 and hoped I would continue his work. I found more rebuses and have a lot of private correspondence from him. He was a wonderful, errudite , imaginative father figure to me and i miss him terribly.He was also wily and he understood human nature and people’s iniquity and the thirst to tell truth to posterity even at great personal peril. As this painting would have remained in a private collection with limited peilople viewing it, Jack and I discussed ghat the resemblance to Henry, brave and cheeky as the rest if the daring secrets hekd within, was utterly plausible. The likeness and stance are too similar to be coincidental, the roses in the hat clearly identify Henry plus he’s the ONLY one in the oainting to dare to look directly at the viewer. I apologise for all these awful typos! Do get in touch if you want more info about Jack and his amazing theory. I was one of his protegees and feel ashamed i havd sat on all my knowkedge for so long! My excuse is motherhood as a lone parent although I have started to teach pupils at school about it again and live seeing tge sparkle come to ignite their imaginations just as it did mine as an 11 year old bilingual child ! Thank you for putting Jack’s theory so clearly. He would have been absoluyely delighted. And he had a super sense of humour himself! Hi Cath. You are most welcome to send me anything you might have at matt.lewis@mattlewisauthor.com. I agree about the ‘Henry’ – could it be anyone but the King? A well researched and explained post yet again Matt! I wasn’t aware of this theory, but having read your post, it has given me a lot of food for thought. As someone who does not believe the Princes lost their lives at the hands, or orders of Richard III I find this theory plausible. I do wonder if Henry VIII would have truly known, given his paranoia over those with links close to the throne, if he had no qualms executing Margaret of York, would the younger Richard be safe if Henry was aware of who he was. 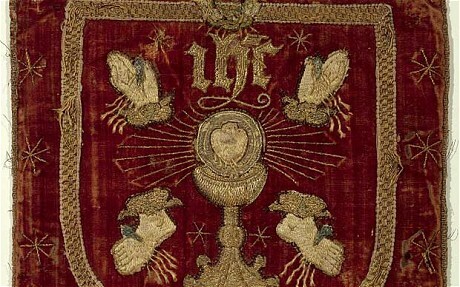 Though, it was to Tudor’s benefit if the Princes did live to not share that knowledge for their own security on the throne, and to cast the dye even further that Richard III was a black hearted villain – obviously integral if the Tudors were to be seen as the ‘saviors’. I have always found it dubious that a man as learned and intelligent as More would write what he did about Richard III – I mean it just repeats hearsay really. He doesn’t every present true facts. I’m especially skeptical about the remains found at the Tower as from what we do know about Richard III is that he was not a man who would do a job by half measures. Why would he have the two princes, his nephews, sons of the older brother he was so steadfastly loyal to firstly murdered, and secondly, have their remains buried within the Tower of London, the site of the ‘murder’? The Tower of London at that point was a royal residence and as such, was one that was constantly being remolded at various times – which would mean that eventually the remains would be found. In my opinion it would make much more sense to weight the bodies down and throw them in the Thames if you wanted to get rid of them. Or sneak the remains out for burial elsewhere. It especially annoys me that the discovery of two mystery coffins within Edward IV’s crypt at Windsor has gone ignored, especially as the coffin’s they originally identified them as being were found elsewhere, in a different crypt. I’m so, so curious about those mystery coffins. I’ve digressed… I like this theory. I like this theory a hell of a lot more than the twaddle that is force fed down people’s throats that Richard murdered his nephews. Great post once again Matt! Thank you reading, and for your kind words. I tend to agree that burial within the Tower would have been madness. Not impossible, but highly improbable. There is so much more to think about that I find it frustrating Richard’s guilt is expounded as the easy answer. 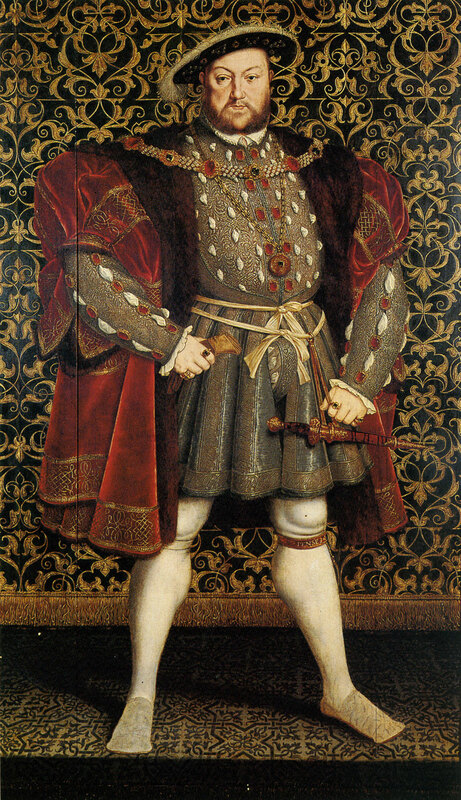 I wondered about Henry VIII’s knowledge simply because he didn’t begin his rule as a paranoid tyrant. He was, in his early years as king, powerful, athletic and boundlessly confident. He surrounded himself with his mother’s family – his uncle Arthur perhaps most notably. Did this extend to his other uncle(s)? Could that explain Clement’s imprisonment when More fell and his flight abroad before Margaret Pole’s execution. Did he see the tide changing and escape in time? I don’t know, but these things warrant some consideration, I think. Perhaps the figure represents John of Gloucester – no one seems to know what happened to him. If you are meaning John of Gloucester Richard III ‘s illegitimate son, I believe he was executed by Henry VII after being kept in the Tower of London for many years. I stumbled upon this blog accidentally. The survival of the 2 princes is my preferred theory also. I look forward to following this and hope that someone will pick up on the DNA trail again one day. Thank you!! I’m glad that you enjoyed it. I find it a fascinating theory. All of the pieces of a DNA jigsaw seem to be there. Perhaps one day we will know whether Leslau was right. I too stumbled upon your fascinating blog looking for Jack Leslau. 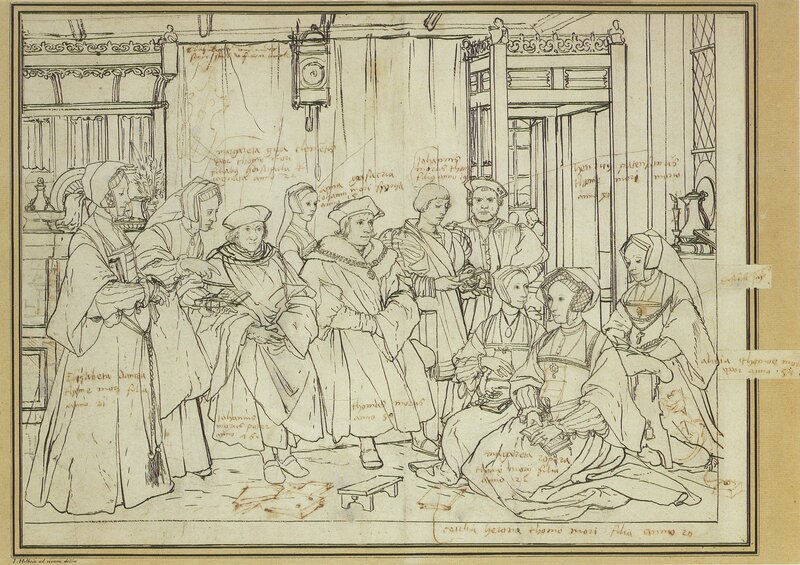 As a descendant of Thomas More I have always been perplexed by his writing about R111. The smokescreen theory would make sense & More could not have imagined Shakespeare would make use of it. I will now read your books & follow your excellent blog – in the wake of Wolf Hall it will be much appreciated! Thank you for reading the blog. I hope you’ll enjoy the books. More plays a larger part in the second book, Honour. Loyalty is more about Richard III. The idea captured my imagination and is plausible, however improbable. Please let me know what you think if you do read the books. 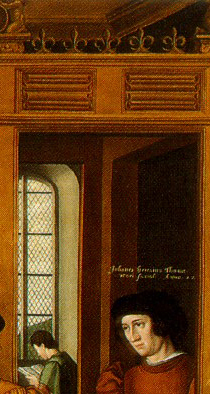 I was a friend of Jack Leslau’s at the time he “read” the Holbein painting and for many years to follow. Such a shame his theory wasn’t proved in his lifetime. It is wonderful to know is ideas are still being discussed. Matt, you could contact me through my e address if you wished. Hi Margaret. I’ve been lucky enough to make contact with Mr Leslau’s sons and daughter via @Countrywives on Twitter know the family. The theory has fascinated me for years now and is the basis of both my novels, Loyalty and Honour. I will see if I can get your email address via this message. Thank you Anna. In glad you enjoyed revisiting the theory. 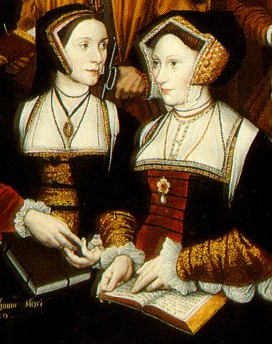 Long before i was aware of anything about Richard III, the Princes, or Holbein, I saw a reproduction of that painting. More’s Fool stood out like a set of photo shopped abs on a skinny middle school kid. To me, it was clearly Henry VIII. I now have some background and I find it addictive, enlightening, and provocative. Is there a descendant of either of the two “surviving Princes”? I believe John Clement had several children but I don’t know where those lines lead or if they are still running. The likeness to Henry VIII is striking and makes the fact that Clement’s head is at a higher point even more interesting. Edward Guildford (is he a candidate) fathered several children. I would like to send up a flare to the readers and see if anyone has done a family tree for either of the “brothers”. In answer to Randy’s query, I believe Dr. Ashdown-Hill is trying to trace Woodville DNA and possibly descendants, that’s going to be extremely helpful if it is possible. Thank you for this blog! I know it was written a while ago, but o just checked out the audiobook of The Portrait of an Unknown Woman by Vanora Bennett. Will definitely be looking for your novels! The Princes in the Tower have always fascinated me because it would have been the height of folly for Richard III to have had them murdered. Have you also read The Sunne in Splendour by Sharon Kay Penman. She started my meandering a through the War of the Roses. Again, thanks for laying it all out there as that particular portrait of More and his family has always grabbed my attention. I’m glad you enjoyed the post. I’ve found Leslau’s theory fascinating for years. I haven’t read Sunne in Splendour – when I started writing I decided not to read other Ricardian fiction so that I wouldn’t be influenced by it. If you get a chance to read Loyalty and maybe Honour it would be great to hear what you think of them. This is all so very fascinating. The picture is amazing. I do feel that everything fits except Clement’s age. He could not have lived to 98, in my humble opinion. Everything else, though ….Maybe there were two John Clement’s. The body language between John Clement and the Fool is very telling. Clement looks down sadly and reproachfully at the Fool, who stares out with arrogant confidence straight at the viewer. Also the “door” over Clement looks more like a throne. (Just to add my own thoughts to the analysis). The portico above Clement is decorated with Royal fleur-de-lys with no obvious reason for royal or French references in the subject. Very interesting. I have been looking for info on this subject for a long time. I would like to know if John Clement had children and if so, if they grew up in Mechelen. I live 20 km from Mechelen. Maybe we are family. Hi Emile. Thank you for reading the post. The couple did have children but there seems to be no record of what happened to them. It seems likely that they were in Mechelen for at least some time. It would be amazing if you were related to John. Have you traced your family tree at all? We started last year and could trace back till 1622 when a Gerardus Clemens maried Christina Vraesers. Gerardus was a soldier. There it stops (so far). In the registers the name was spelled differently: Clemens, Clement, Clements, Clementis. This was due to the fact that the clergymen who registered the new borns wrote phonetically. From the 17th century on it was always Clemens. We will try to dig futher and keep you informed if something interesting comes up. That sounds very exciting, thank you. 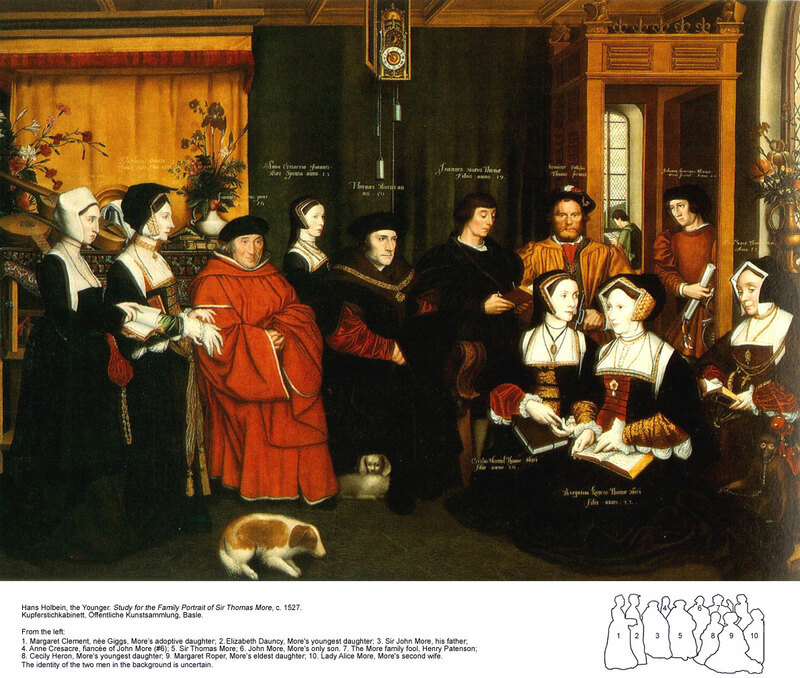 I am very interested in Emile’s comment and I can help her with his/ her question re the family of Doctor John Clement….. as you may know I am a member of the Richard lll Society actively involved in the TMPP Richard lll project working on/investigating Doctor John Clement. Hi both. I am happy for both of you to email me at matt.lewis@mattlewisauthor.com to facilitate this if you would rather not post email addresses here. I would also be interested in any news or work in this area. Hi Cath. I’ve been fascinated by his theory for years and hope to further his work. I have corresponded with his children about it and would love to investigate further. It is very interesting that this almost two years old post started to be commented again now,when in connection with your present article I stopped keeping back what I had kept back for long.An answer to the problem of this article? The same.You can toy with a thousand theories,and it definitely interesting to investigate them,but the basic answer is that Richard should have never been -as you say–convicted with no evidence.This is the only case when the innocence has to be proved,not the guilt.This horror could only happen because he was the fallen hero,and human nature is just like it is described by Swift,in Gulliver’s Travels,Third Part.Most people side with power,no matter how immoral that power is.NO evidence against Richard,but overwhelming evidences against the Tudors.These are politely overlooked.No palpable evidence is needed to prove Richard’s innocence.If he had ordered the killing of his nephews,he would have been only similar to most politicians until the present day.But if he was a saint,it is even more outrageous what. was done to him.The role of the present monarchy isn’t edifying in connection with this subject either,as I mentioned in my other post. The establishment is behind all this. Shakespeare’s, Moore’s DELIBERATE misinterpretation, just to serve the establishment,these are the basic questions.Last year,we ‘spoke’ about researching more thoroughly Shakespeare’s age and theatre.But it didn’t work out,did it? I suggest every Ricardian to stop toying with unimportant, minor details,and focus on the great ones.By now,I am a100%sure that both Shakespeare AND More were partly deliberately misinterpreted to serve the monarchy and its institutions like the Anglican Church,that go. back to the Tudors.Some villains did it intentionally knowing that others would follow the trend not noticing the truth.All this will be in my new book and on my website.But the reasons why and how this happened are the basic questions. The present establishment doesn’t want the truth.But in an almost- democracy, like Britain,the barriers can be pushed a little further.Investigate,research these really basic questions,the establishment likes it or not.. More and Shakespeare were misinterpreted to hide very important truths. I love this theory and your breakdown of all the intricate pieces! I am also now picturing myself as a secret princess of York! Just came across this theory and must say it was a very interesting read I came across this article when looking up an ancestor. My family name now Clemett used to be Clement I have had my paternal haplogroup tested and as of yet haven’t matched to any other family including other Clement/Clements families. I wonder sometimes why my family name is so rare and where it came from. There is a story of Royal Blood in my family an ancestor came over to Devon from France, the farthest ancestor back I have managed to trace is a Stephan Clement who was residing in Frithelstock, Devon he died in Frithelstock in the year 1576. My haplogroup is R-Z8 which unfortunately I do not know much about other than it may have a germanic origin. It would be great if someone could research this further and Dr Clement’s DNA could be accessed and analysed I for you would be very interested in the results.